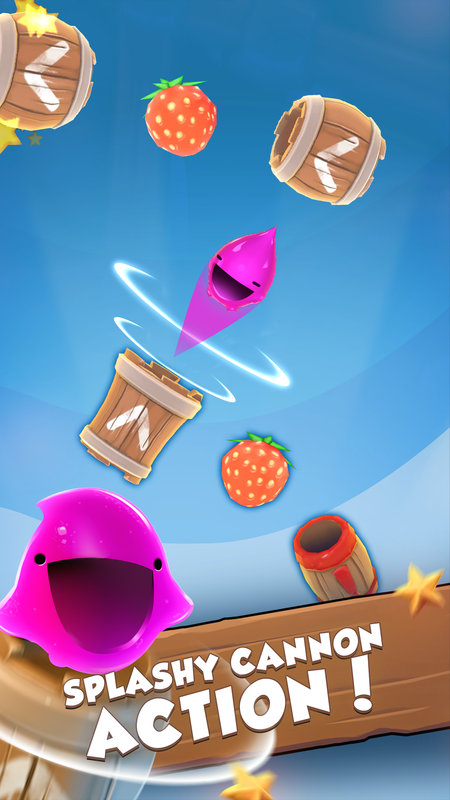 Let Juicy Jelly catapult from barrel to barrel in this action packed endless shooter! 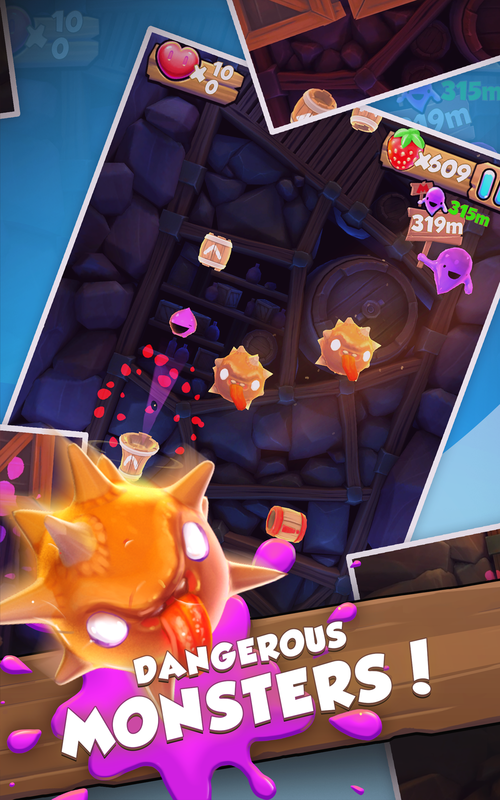 Catapult to untapped heights in this endless juice saga of dangerous syrup and candy loving monsters, moving cubes and infinite mountains of yummy fresh fruits. ❤ Simple and addictive one touch control game play! ❤ Catapult Juicy Jelly as high as possible through the fruity mine. 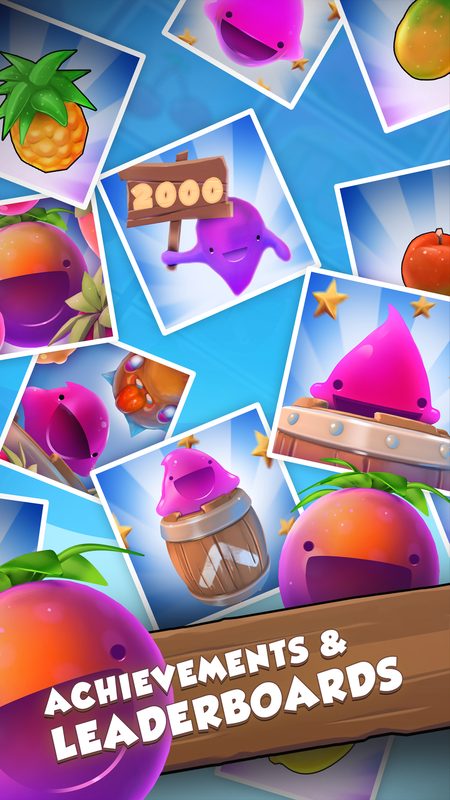 ❤ Unlock, collect and stuff your belly with fruit bottles of all kind and color, from yummy cherries to bananas! ❤ Syrup sucking, candy loving monsters and moving juicy cubes will try to crush you to jelly splash! ❤ Get free daily heart rewards to dash even further! ❤ Catapult yourself to the top in up to 4 leader boards. 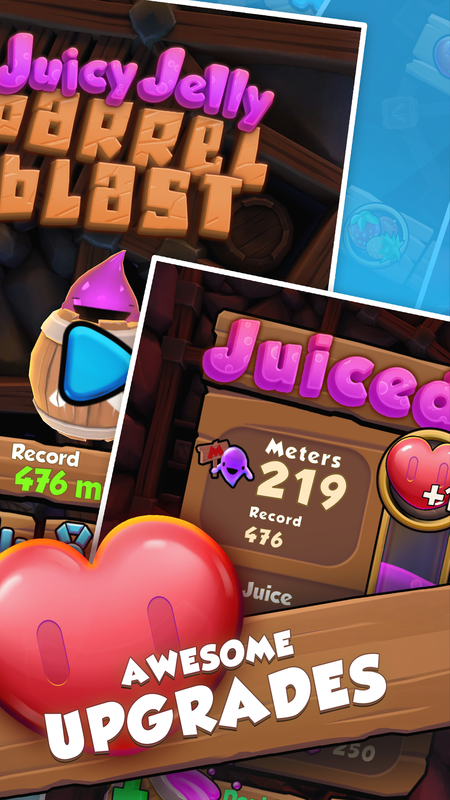 ❤ Unlock 35 splashy Juicy Jelly achievements. ❤ Endless levels, which adjust to your skill. ❤ Yummy 3D graphics and a crazy soundtrack. ❤ Save your progress across all android devices. 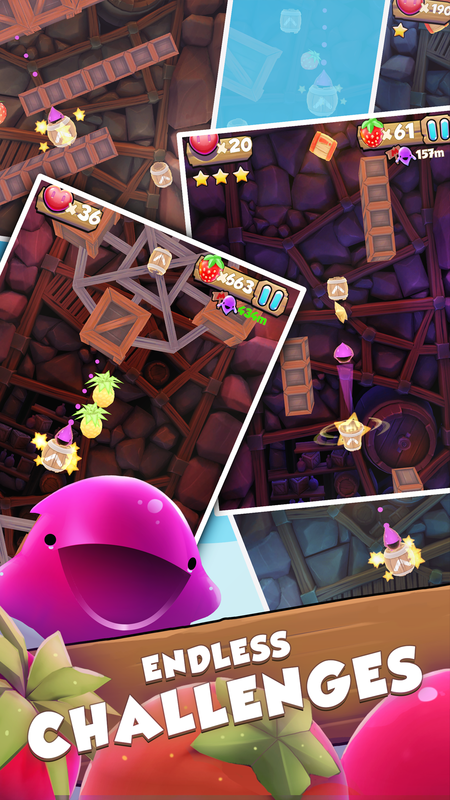 Jelly Blast is free to download! 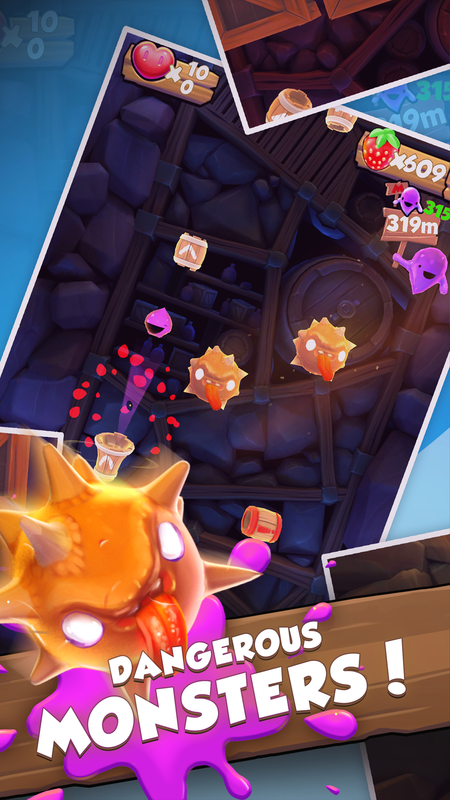 Enjoy this cute and crazy action-packed endless shooter now on your Android device! The Jelly Friend Update is finally here! ★ Unlock up to 5 new jelly friends and color them in 5 different colors. Checkout the dressing room in the main menu!